Ready for a Bible Odyssey? Ready to look a bit deeper into the Bible? 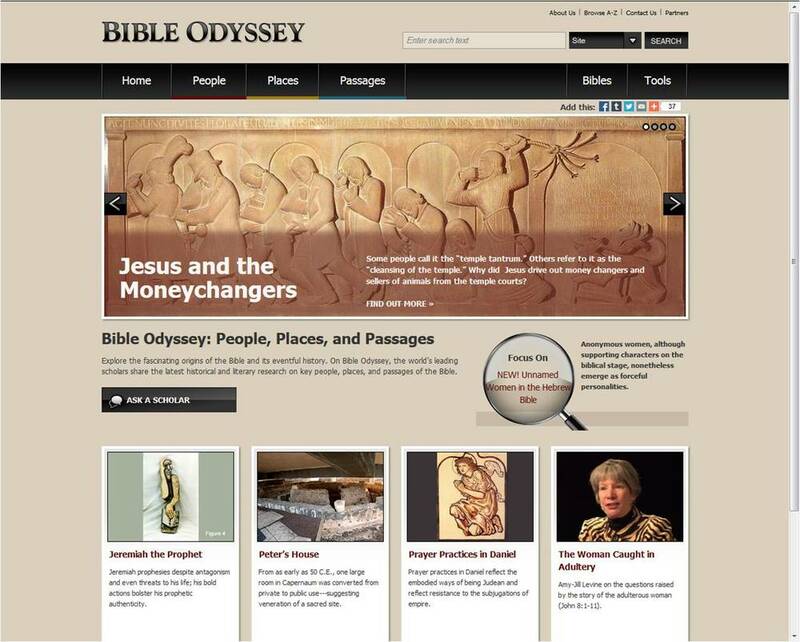 Bible Odyssey is the website for you. It features the latest work and ideas as well as a cornucopia of material on every facet of the Bible. If you need to plan bible studies, then Bible Odyssey is an invaluable tool. Overall it's the kind of website that you can visit quickly to find out an answer to a question or spend an easy afternoon browsing around and learning heaps. You can wander down lists of biblical people and passages, think about translations and so much more. As an example, click through here and peruse the section on the story from the Gospel of John about the woman caught in adultery. This will give you a sense of what this website offers.